. b. 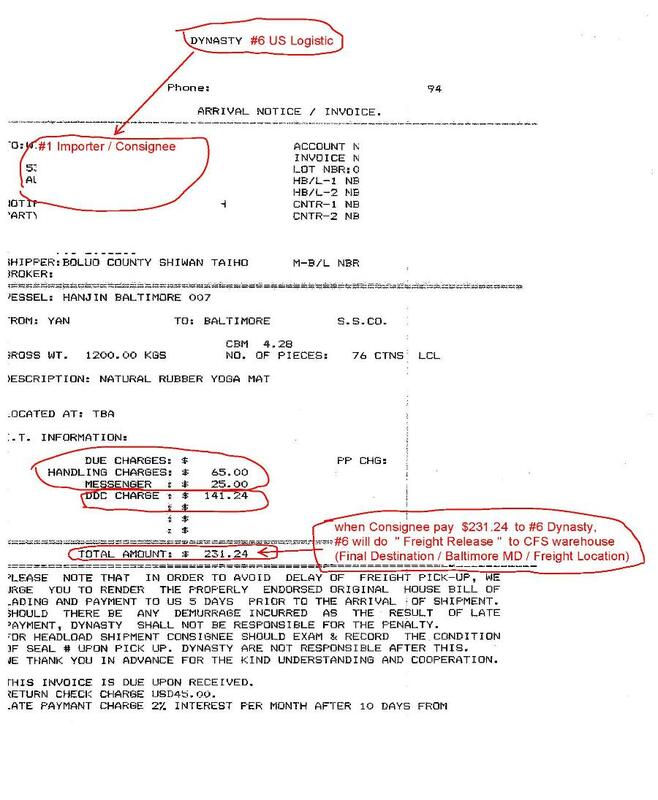 Import Freight Forwarder (IFF) = ISSUER of Arrival Notice (5-7 days BEFORE cargo is in US): OVERSEER of cargo to CFS warehouse//port. 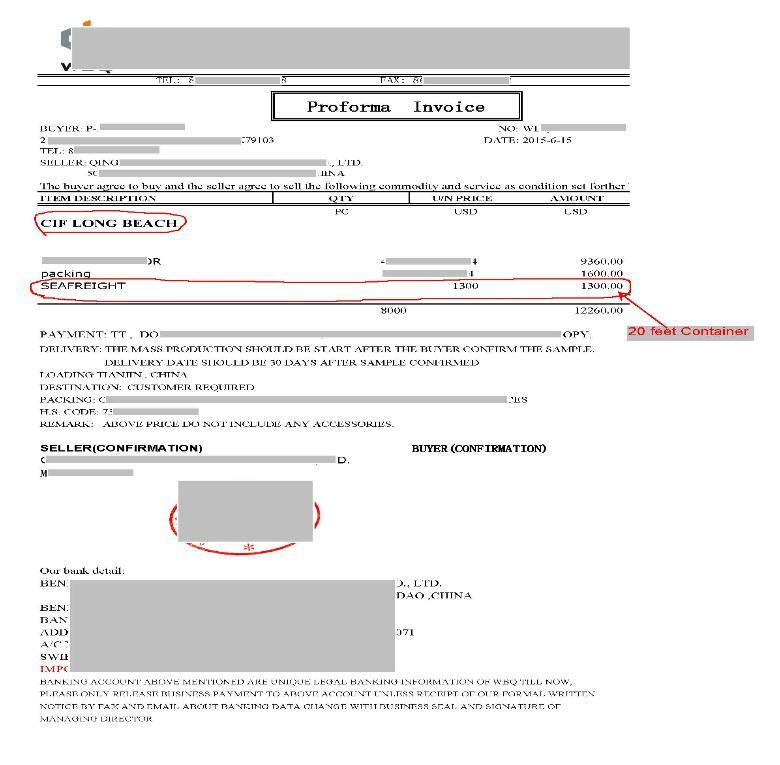 Bill-of-Lading (BL) (aka: Straight bill of lading (nonnegotiable) with Telex-Release / Surrender / Express-Release or Original-Bill-of-Lading (OBL). wikipedia.org. 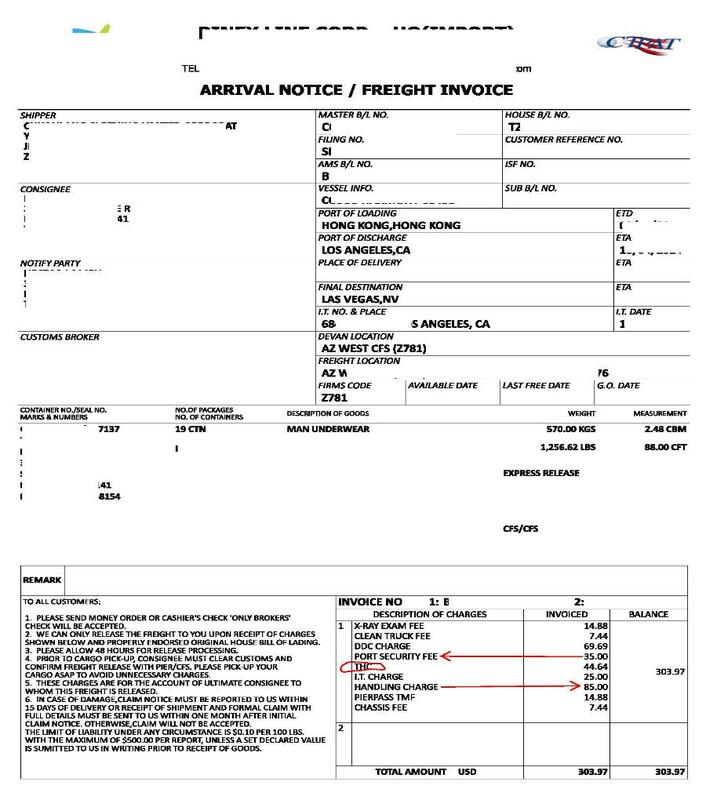 shipment with Arrival Notice Invoice from your Import Freight Forwarder: that could be COMPARE with your arrival notice / invoice. 4. Arrival Notice with 1.81 cbm = $485.14 & forwarder is including warehouse fee $258.60, i my view, warehouse fee should be about $50-$80. 9. 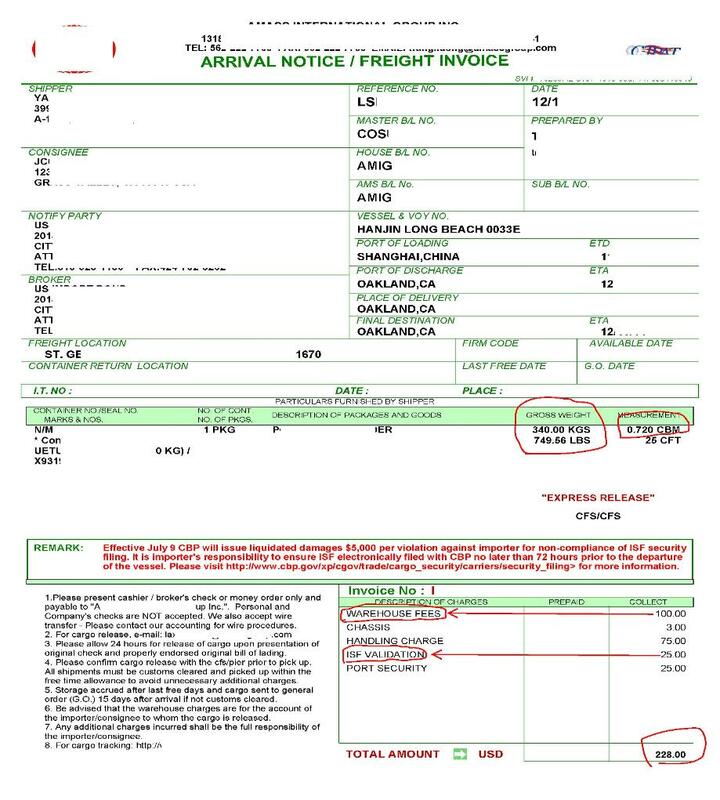 (#3) Origin shipping company contacts (#5) US Logistic company & bills your (#6) Freight Forwarder $141.24 . 13. 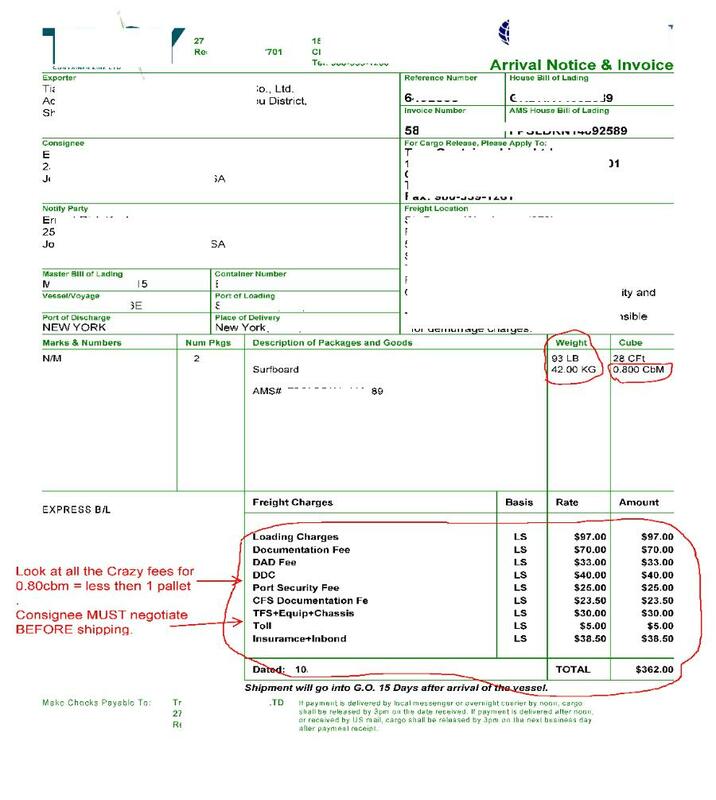 Arrival Notice with DDU $175 Residential Surcharge Delivery / $4409.20 lbs / 2.09cbm & $20.90 exam fee. 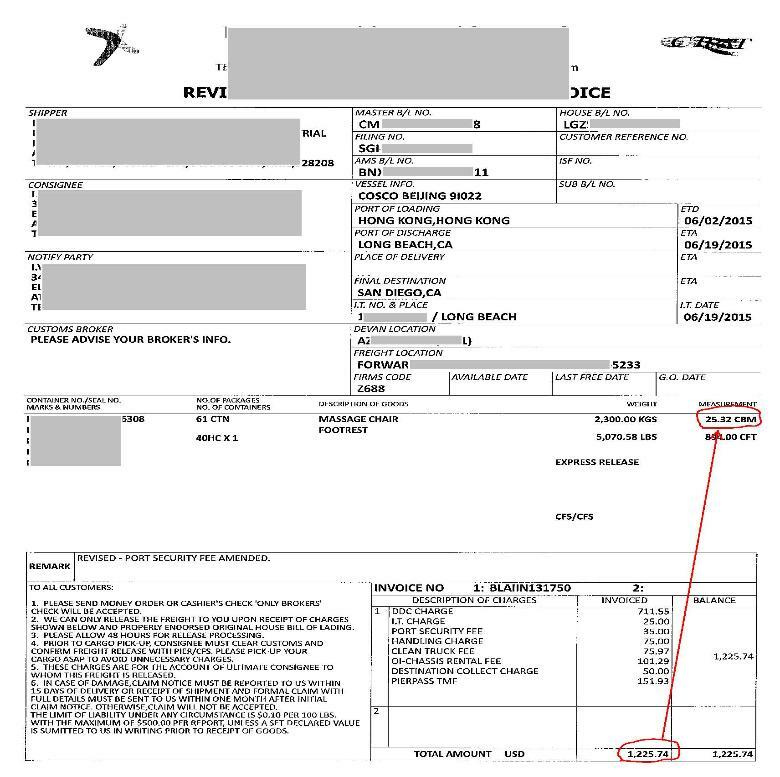 - told the importer to call your freight forwarder & review the arrival notice that you have paid warehouse fee up-front $217.06. 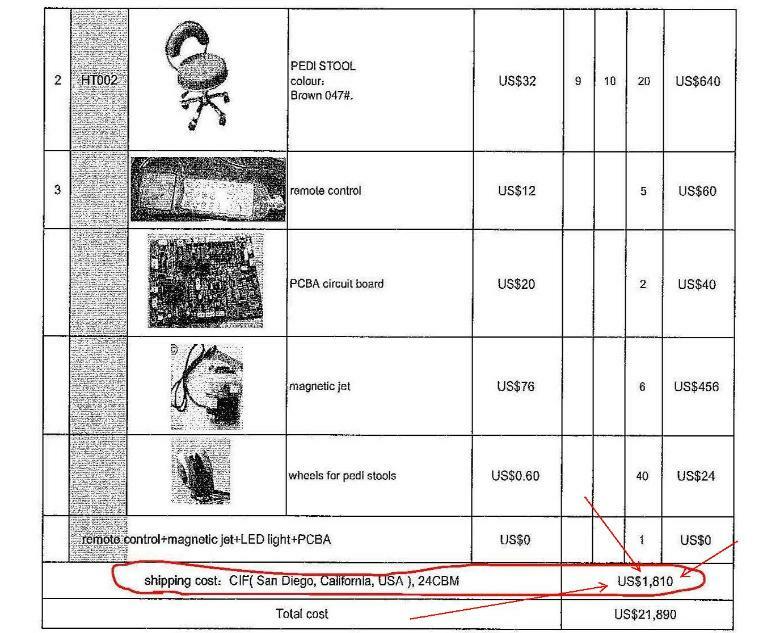 - But, he said, he pay other warehouse fee $87 to pick-up. a. Your Responsibility = Your money, Your profit / sells, Your Vendors (supplier/forwarder & etc. ), Your Shipment, Your Documents, Your Arrangement,/negotiation & etc. b. 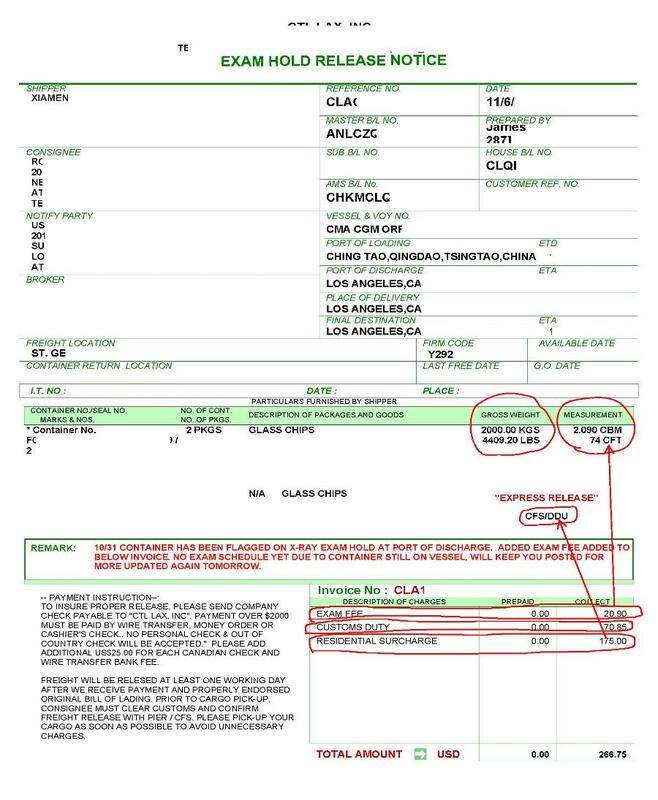 Terms of shipping from your vendors (supplier/factory/shipping-company & etc) = Shipping Terms = Bill-of-Lading (aka / ie / fyi; Bill-of-Sale) / Mnufacturer Contract Agreement. 15. Arrival Notice with 3.3cbm = Exam fee of $63. 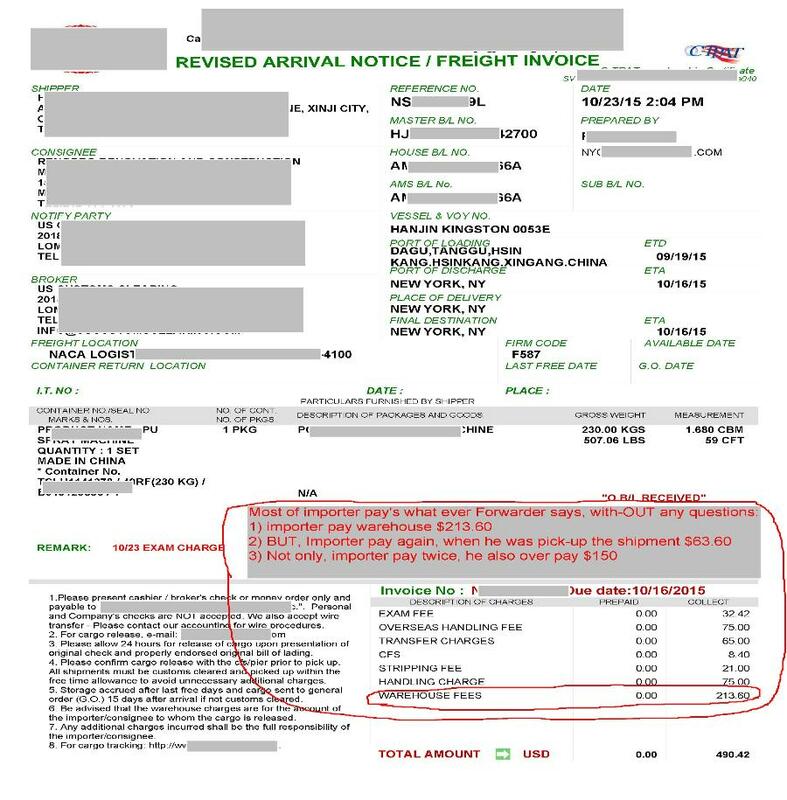 - so, when called his Forwarder, Forwarder could NOT give / find the exam notice & invoice, that forwarder receive from US Customs Exam Site. a. 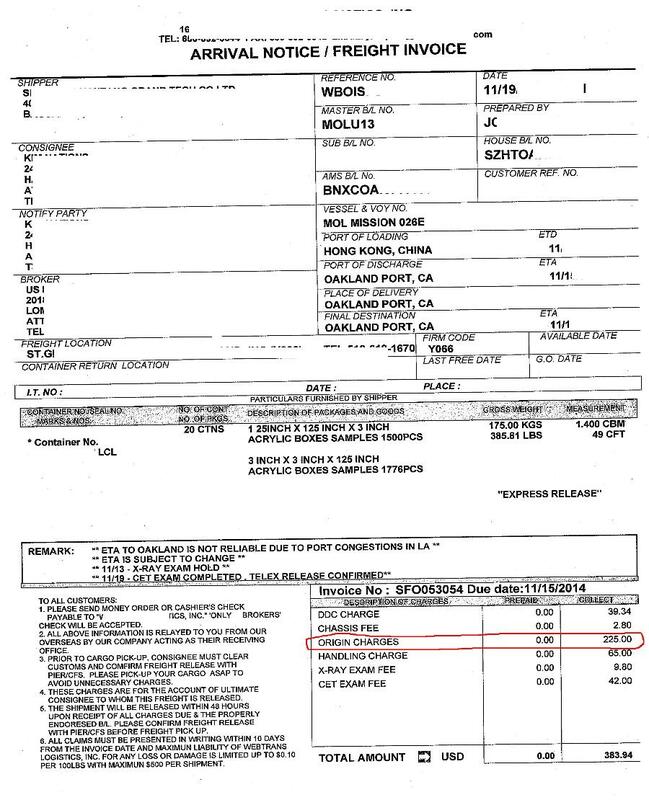 This shipment came to Long Beach Port on Nov 11 2014 & was unload from Vessel Dec 1 2014, and X-ray $94.50 with Tailgate/Back-Door Exam $94.50. d. Every year, Port-Union pick worse time to strike: Beginning of Nov & Dec (busiest holiday). f. Importer is RESPONSIBLE for all fees/US Laws/Liability/exam/permit(s)retroactive(backdate) Document (BL, Arrival Notice & etc.) Case File: federal court US Attorney's. b. So knowing, there will be warehouse fees, But warehouse told him, your Forwarder paid. 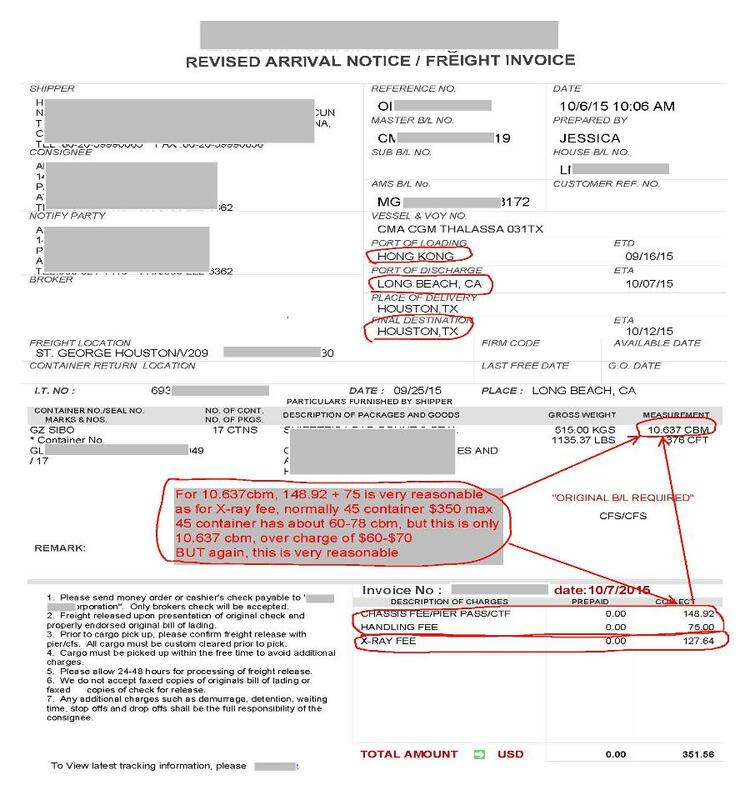 d. Looking at the arrival notice, Freight Forwarder charge $100 for warehouse. 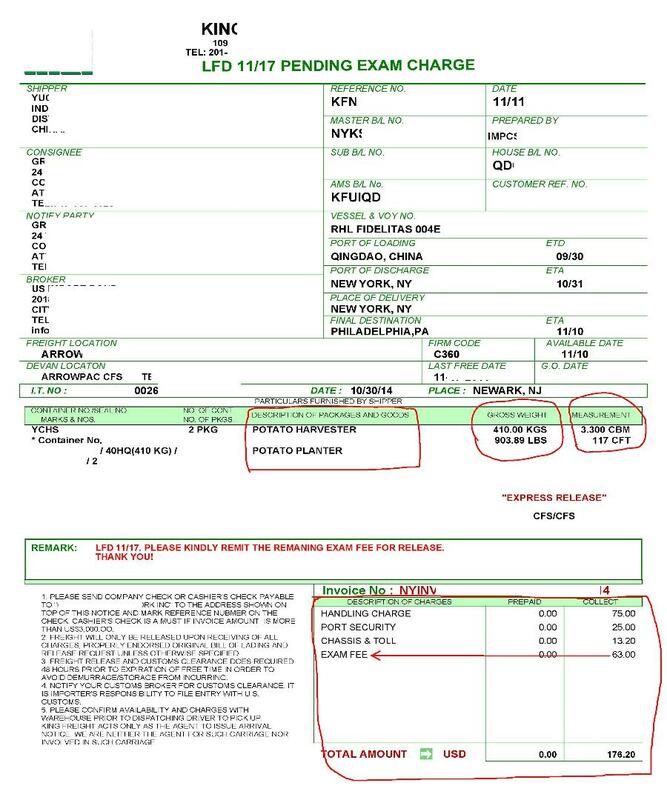 f. By not look, what his was paying for arrival notice, he pay Extra $75 for warehouse and $25 for ISF Validation. 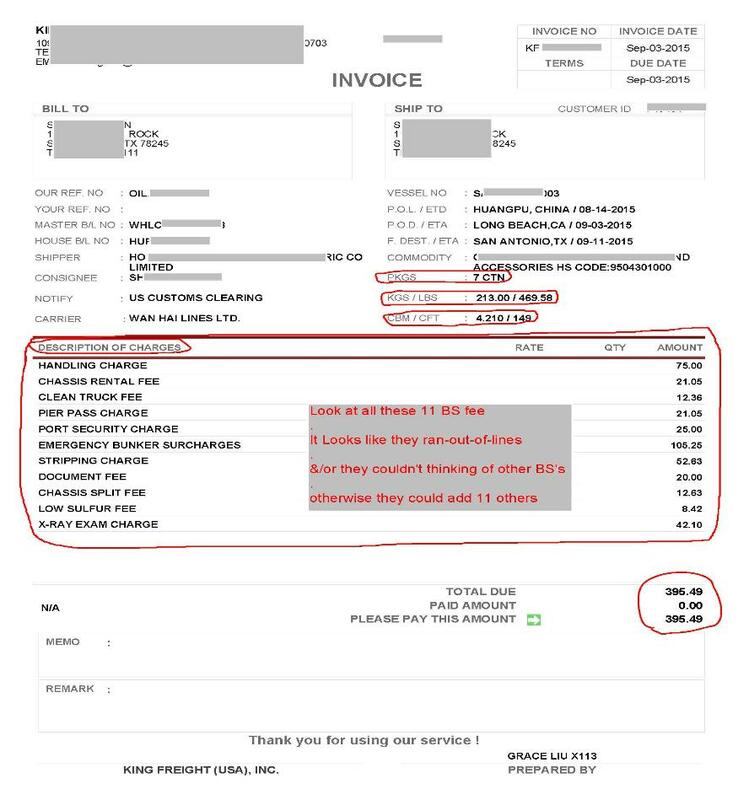 h. Importer complain to FMC & Forwarder, where in there website, email, tariff filing or any other place, that forwarder could charge all BS fee.
. FULL DETAILS MUST BE SENT O US WITHIN ONE MONTH AFTER INITIAL CLAIM NOTICE. OTHERWISE,CLAIM WILL NOT BE ACCEPTED. c. Port Congestion fee $15. 23. 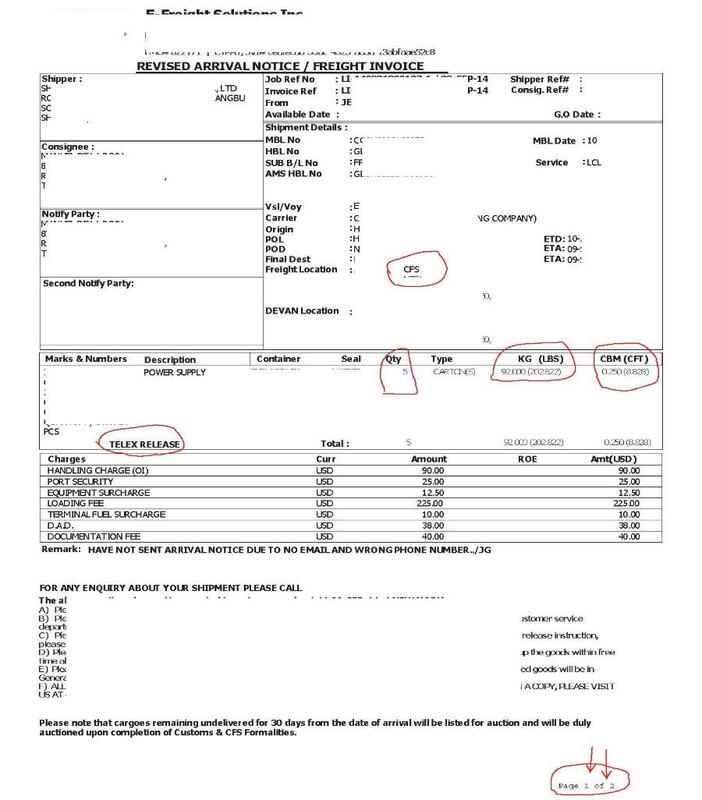 Arrival Notice with 2.761cbm = Exam fee of $70. 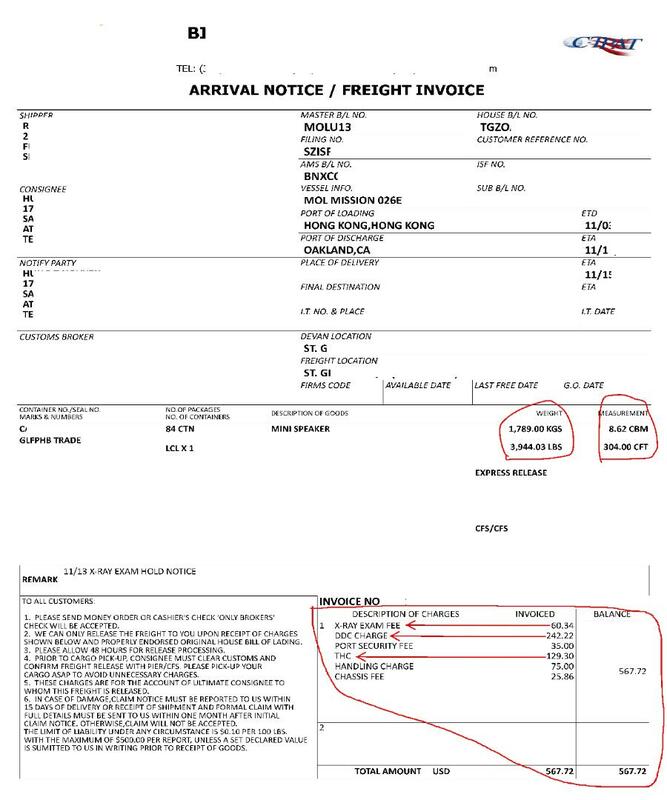 Most of importer asked, out of Nowhere some US Freight Forwarder (Shipping company) is charging 10 different fees (Arrival Notice), when i pay my supplier/factory. 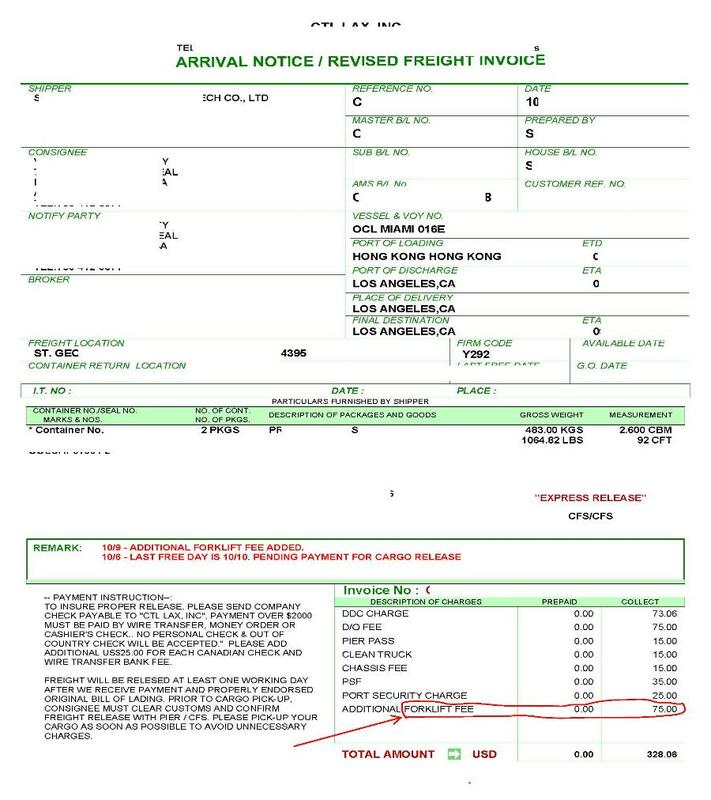 When i(importer) google "clean truck fee" it has ended at Jan. 1, 2012 (click here) & if so, why are they charging me. No where in their website i see any their fees, that they will be charging this & that. I feel they are holding my shipment as hostage. a. Negotiate with your vendors/supplier/factory/shipping-co. BEFORE the shipping: Shipping Terms (click here). b. 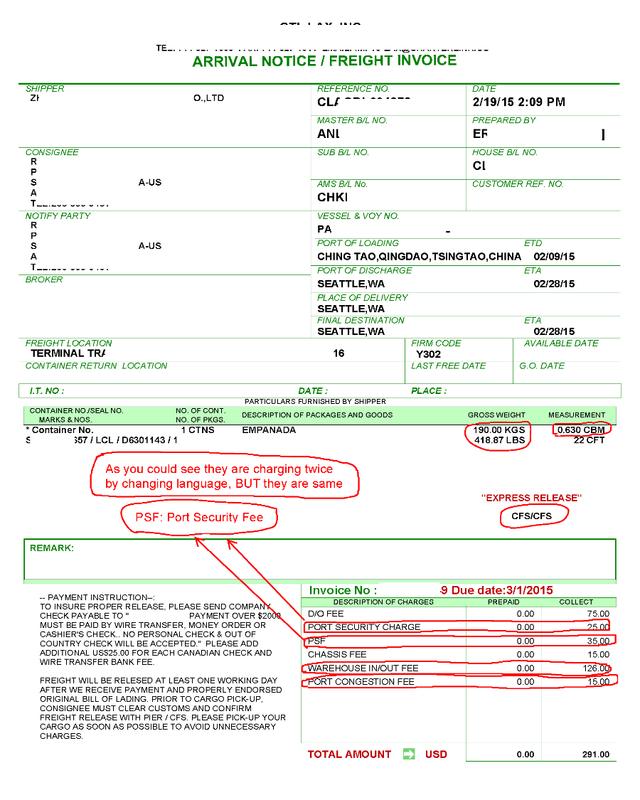 Most of your shipping term could be view at your Bill-of-Lading from your supplier/factory/shipping-company. 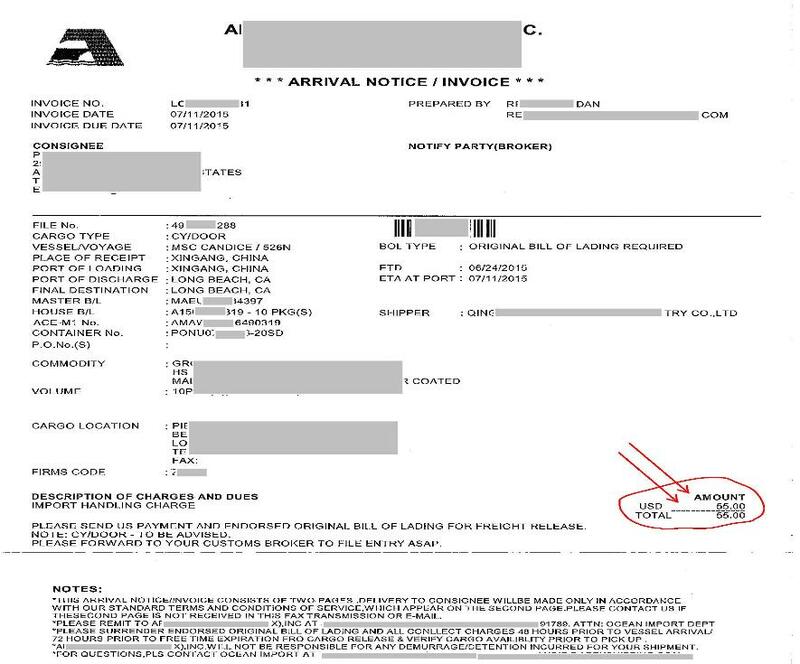 c. Arrival Notice for LCL = unloading from the vessel, removing your shipment from 40-feet-container (devanning), separating all importer shipment & moving it to your warehouse. d. Most of Arrival Notice from your Freight Forwarder (shipping-company) has NO NO NO consistency of fees. 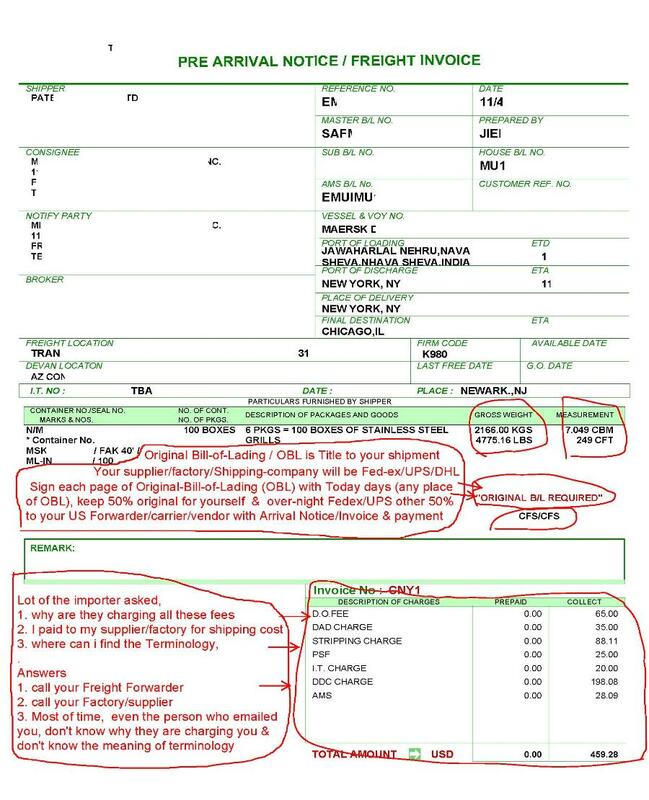 but i could not argue with my Frowarder/Shipping-company/ supplier/factory about Arrival Notice/Invoice fee, Warehouse fee, Shipping fee, Storage fees & etc. It was hard to argue when you have no info / very little info or maybe, i thinking, they were holding my shipment as Hostage with Storage fee & GO warehouse fee. 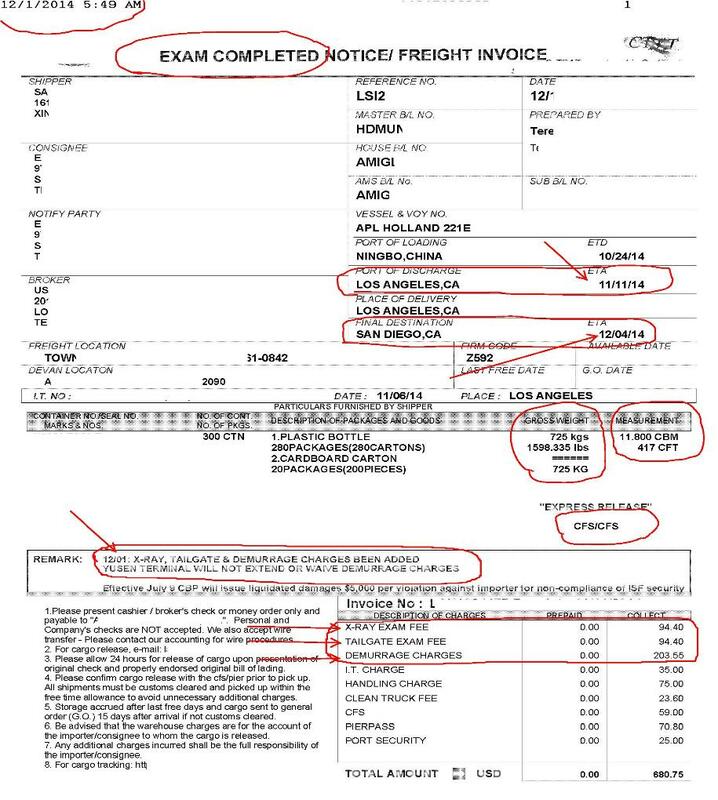 To understand why/who importer MUST pay, BEFORE/After/DURING shipping, Importer MUST review Incoterms & contact ISSUER of Bill-of-Lading / Arrival Notice LCL / Full. Incoterms published by International Chamber of Commerce & recognized by United Nations Commission on International Trade Law as Global Common Terms. 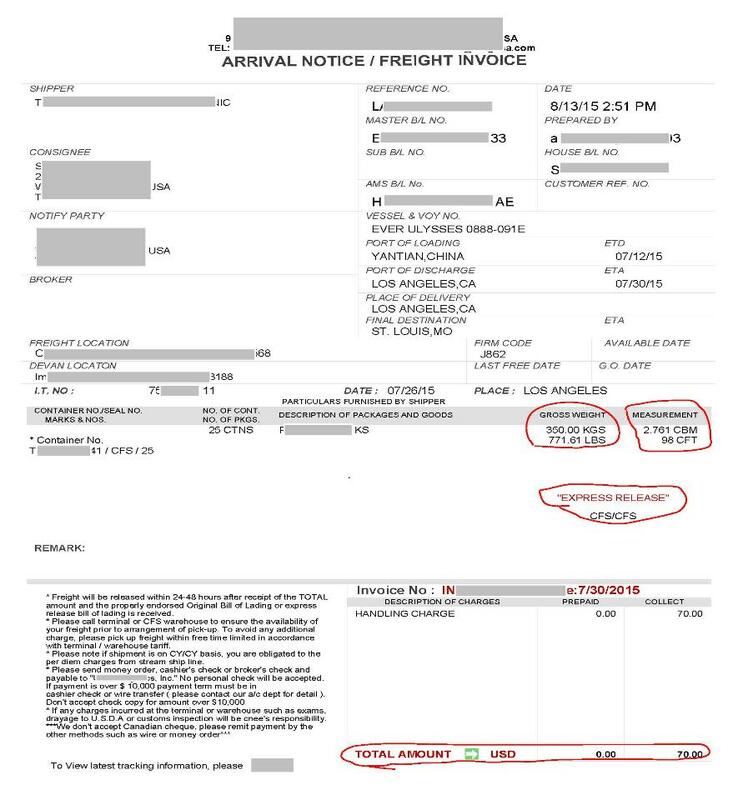 c. Arrival Notice/(LCL/Full) is US Freight Forwarder terms-of-bill-of-lading, agreement, including the date of transfer, timing of payment, title to your shipment & other provisions. 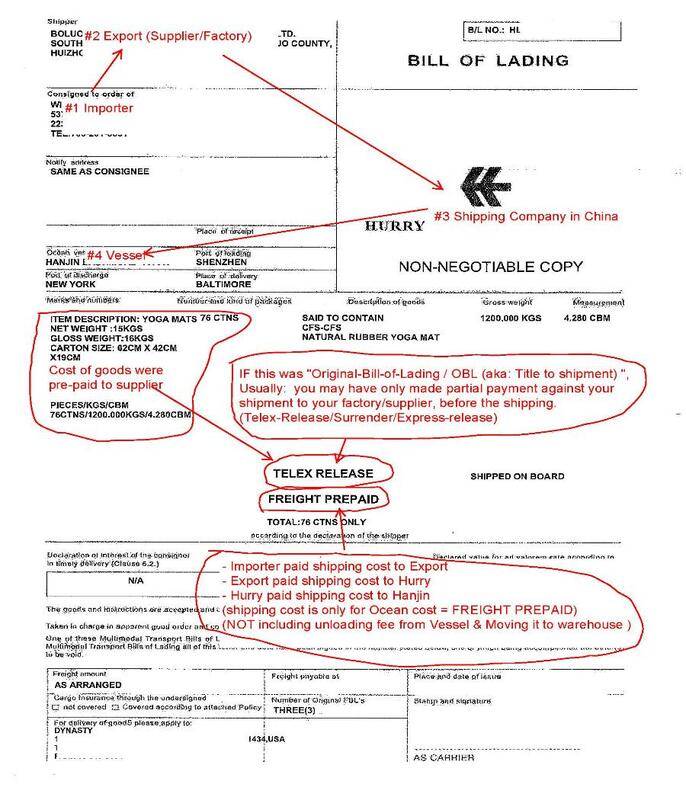 d. All shipment are PRE-Arrange by issuer (importer/supplier/factory/mover-shipper) of Bill-of-Lading (aka / ie: Bill-of-Sale / Shipping Terms (loader terms), BEFORE the shipping. e. Most of PRE-Arrangement are CIF Terms = Are done with-OUT paying all vendor, such as Arrival Notice (LCL/Full), Warehouse/Port, ISF Filing, Customs Clearing, Exam & etc.
. Carrier-Released / Released-Order / Steam-Ship-Release) to you, your warehouse, port, trucker, customs broker & etc. 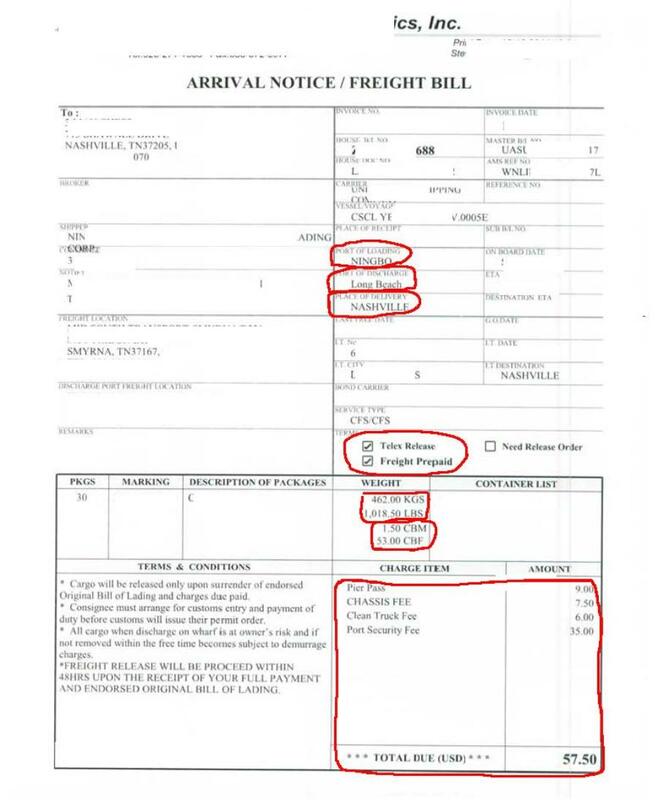 Why CAN'T Supplier / Factory / ShippER / Shipping-company arrange US Domestic Trucking, ISF Filing & Customs Entry. 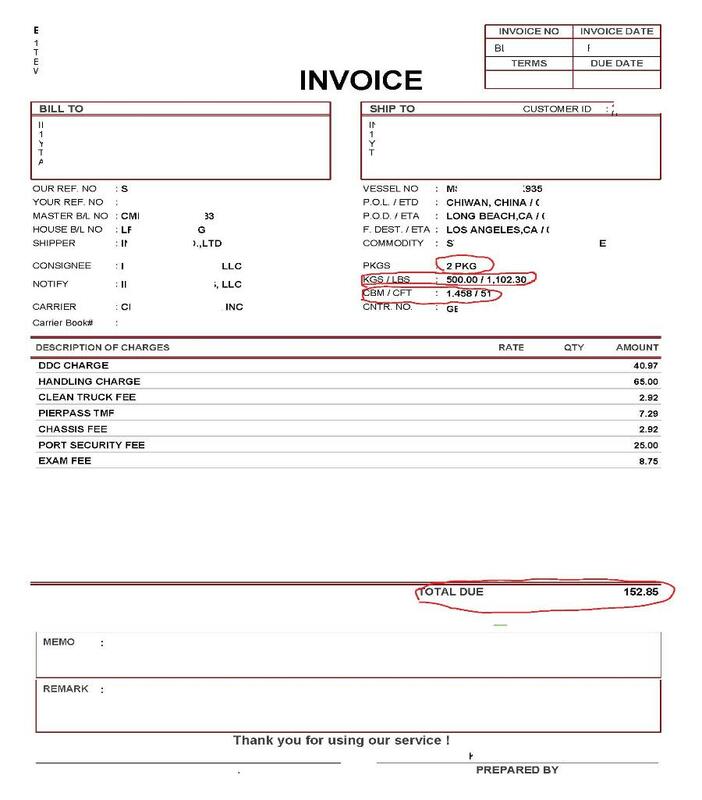 IF you think, it's not cost-effective to pay all the fees (duty/tax, forwarder, trucker, warehouse, isf filing, customs entry filing, exam & etc.) you could ABANDON your shipment.
. a. To export, your MUST contact your Freight Forwarder, company that has done your transportation to US Port.
. b. 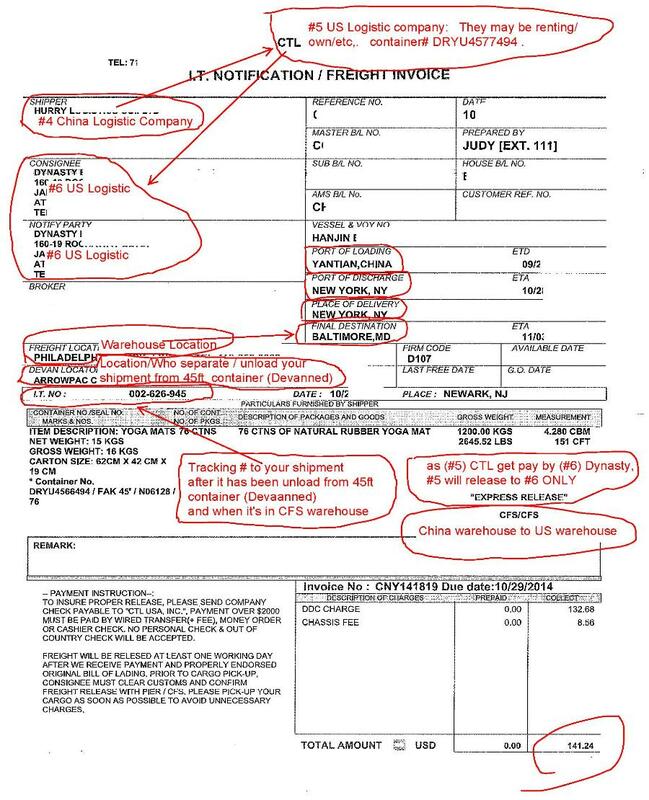 Your current Freight Forwarder will be helping you with 7512 (IE / Immediate Exportation) form.
. c. Local US Customs officer must sign & if any, Agencies officer must sign a 7512 (IE / Immediate Exportation) form.
. d. Local = City, County, State that you are in.
. e. Who is liable: Case File: federal court US Attorney's (click here), Importer is RESPONSIBLE for all Laws/Liable/fees/retroactive. 2. ABANDON your shipment. Please notify your Supplier/US Forwarder/Carrier & Warehouse & us by email ONLY.
. a. For Abandoning, you may be Penalize / Fines / demurrage / Per-diem / Destroy / trash / add-DPL & etc . 3. Destroy / trash email Customs Officer, warehouse & us by email ONLY.
. a. If shipment is import with-OUT permit / permission Hazard, Patent, Trademark & Etc.
. b. You may be Penalize / Fines / demurrage / Per-diem / Destroy / trash / add-DPL & Etc.
. c. Who is liable: Case File: federal court US Attorney's (click here), Importer is RESPONSIBLE for all Laws/Liable/fees/retroactive. 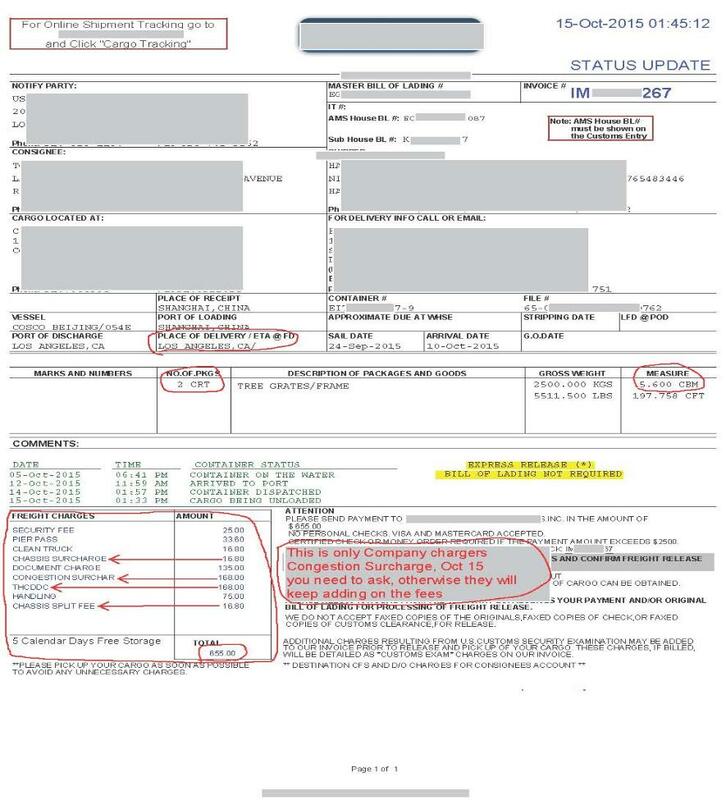 13th: Arrival Notice with DDU $175 Residential Surcharge Delivery / $4409.20 lbs / 2.09cbm & $20.90 exam fee. 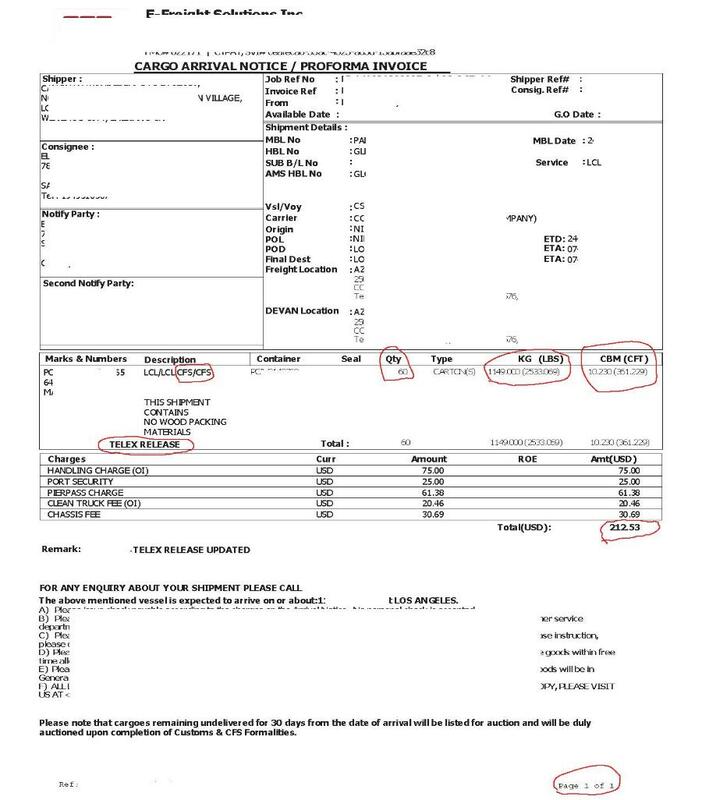 - told him to call the freight forwarder & review the arrival notice that you have paid warehouse fee up-front $217.06.
. 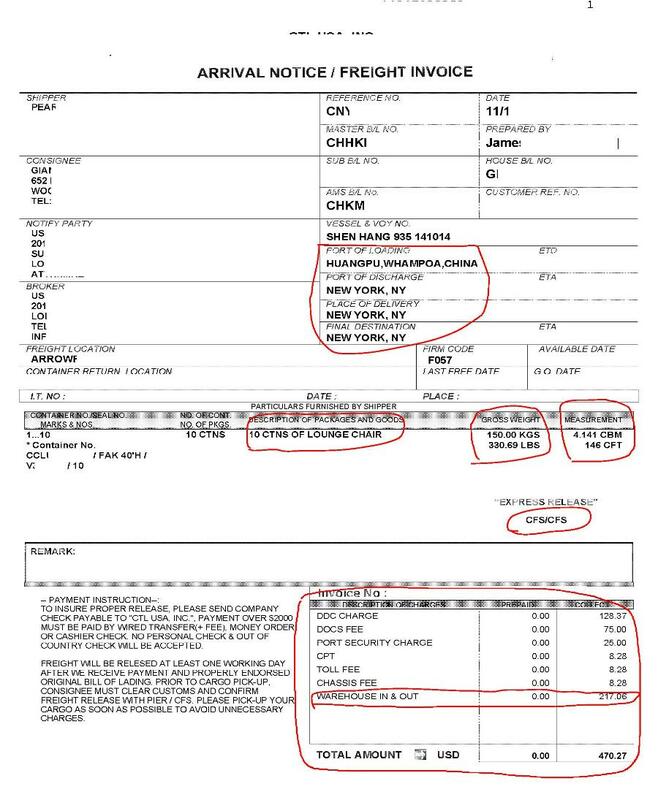 Terms of shipping from your supplier/factory/shipping-company = Your Mnufacturer Contract Agreement & Bill-of-Lading & etc..
- one over this (#15) is 3.3cbm = Exam fee of $63. Every year ILWU Strike (Longshoremen / Dockworkers / International Longshore and Warehouse Union (ILWU.org). The ILWU Longshore Division represents 20,000 dockworkers at 29 West Coast ports. Longshoremen / Dockworkers position does NOT require a high school diploma or a college degree. 2009 port strike long beach. 2010 port strike long beach. 2012 International Longshoremen's Association (ILA) strike. 2012 - 2013 Clerk strike: Salaries from $165,000 to $195,000 + 11 weeks' paid vacation + a generous pension increase (Office Clerical Unit Workers local 63 of the ILWU). 2013 strike port long beach. 2014 Striking port truck drivers. 2014 Warehouse strike (ILWU — International Longshore and Warehouse Union). The North American Meat Institute reported this week that lost hides and skins export sales total $42 million per week. Subject: Implementation of Port Congestion Charge. business is simply not possible to continue, and extraordinary costs are being incurred at every step of cargo movement. 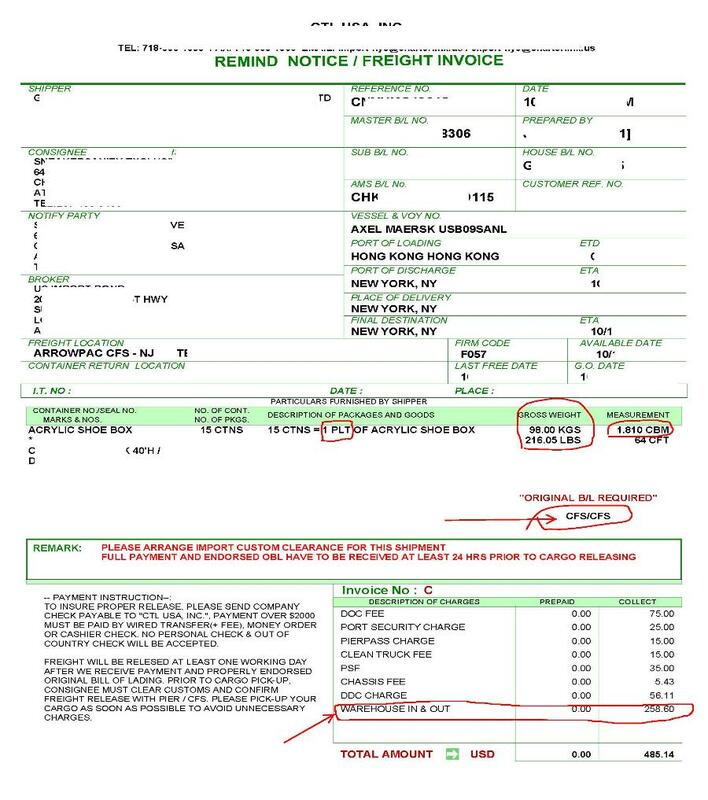 Google yourself an Implementation of Port Congestion Charge (aka Congestion Surcharge Destination / CGD)& see what vessel company are trying to charge you. calculated by the volume (per cubic meter/cubic foot) but not by the weight. - It will decreases the shipping cost, you are paying for the portion of the space you are using. - For inland, you can either drop or pick up the cargo from the CFS/bonded warehouse where they load or unload the container. - Transit time will be the same as if you would have ship a full ocean freight container. - International moving company can also palletize smaller boxes to eliminate shipping cost extra volume charges. - If one of the consignee cargo in the container get exam, the whole container will get exam. You need to share the exam charges with everyone else. - Delay, once the container get to the final port the container needs to transfer to the CFS warehouse for stripping. - It will take about 7 days from terminal to the CFS before your cargo is available for pick up. 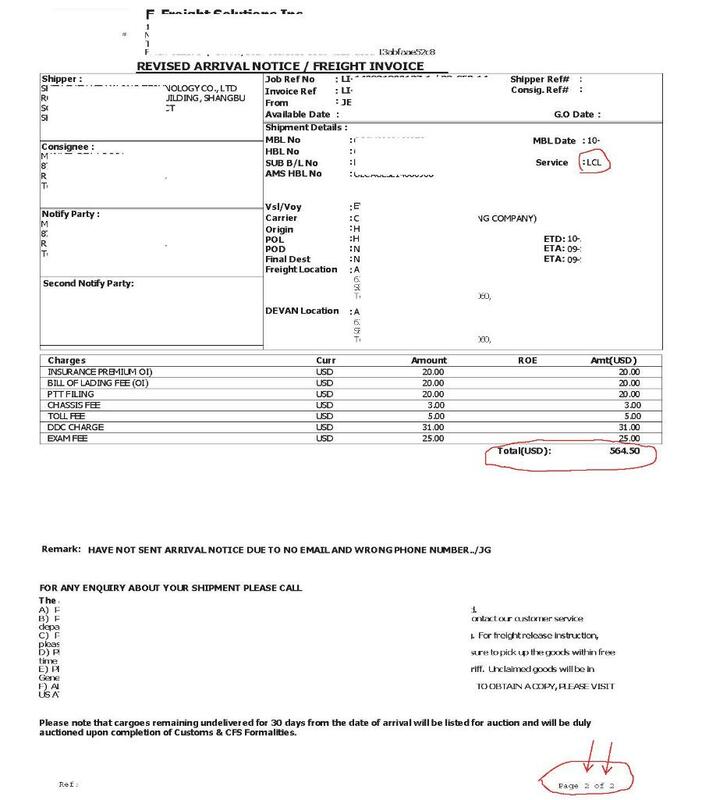 17th: Arrival Notice with 0.89cbm = Exam fee of $3. 19. 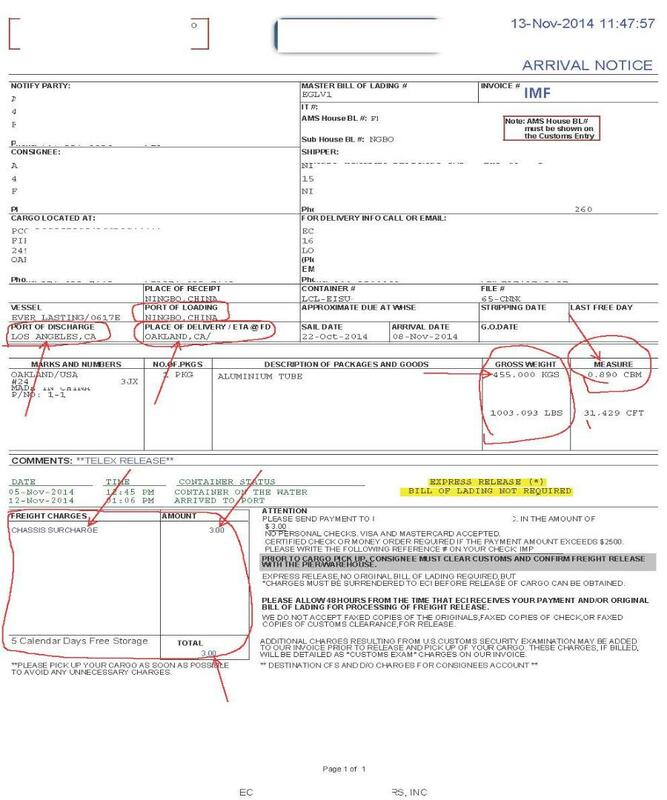 Arrival Notice with X-ray exam $94.50 & Tailgate exam $94.50 +Demurrage $203.55 +Other BS fees. f. Importer is RESPONSIBLE for all US Laws/Liability/exam/permit(s)retroactive(backdate) Document (BL, Arrival Notice & etc.) Case File: federal court US Attorney's.